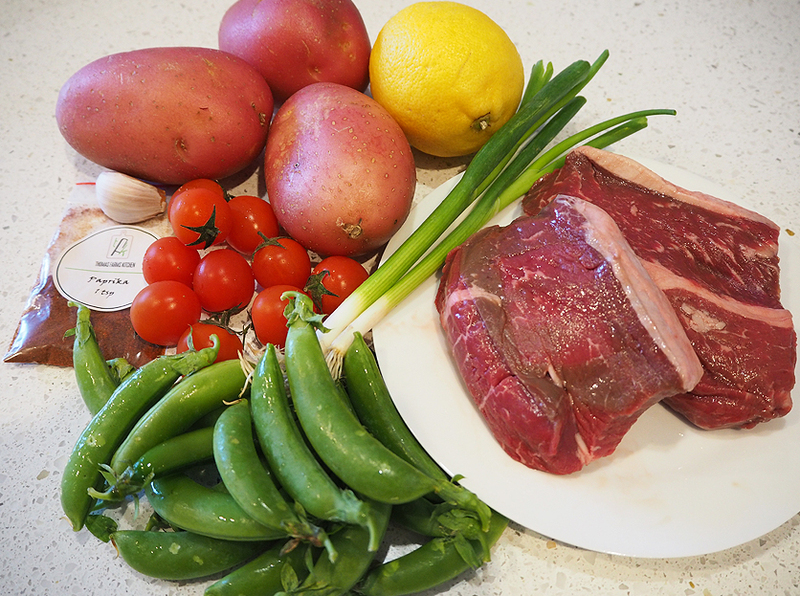 Two South Australian brands have joined forces to deliver locally produced dinner boxes containing premium produce from Murraylands producers. Some of the featured producers include Thomas Foods International (beef and lamb), Costa Adelaide Mushrooms, Rivapak (onions), Parilla Premium Potatoes, Longridge Olives, Big River Pork, Ingham’s (chicken)and Swanport Harvest (vegetables). These meal boxes are delivered straight to your door and you can pick from a range of recipes, with pre-portioned ingredients so there’s no wastage! I was lucky enough to give one a trial run. The ingredients were measured out and packed for me and all I had to do was follow the recipe! I liked how the recipe card got you to prep the ingredients first to ensure a smooth cook. 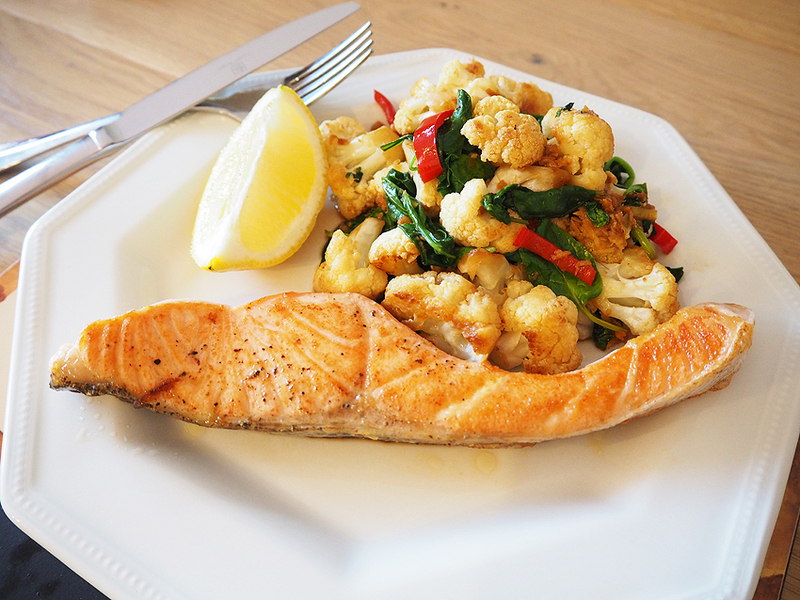 First up we sampled salmon with spiced cauliflower – an easy, one-pot meal. 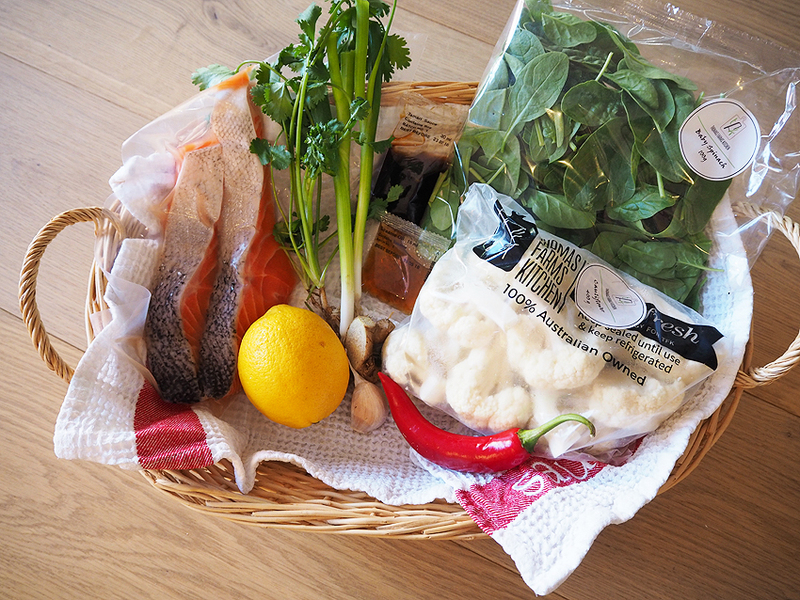 The salmon was just beautiful with plenty of flavour in the cauliflower with the ginger, garlic, chilli and spring onion. The sause of tamari, sesame oil and coriander was perfectly balanced and the baby spinach was added right at the end for a quick flash in the hot pan. I’ll certainly make this dish again! 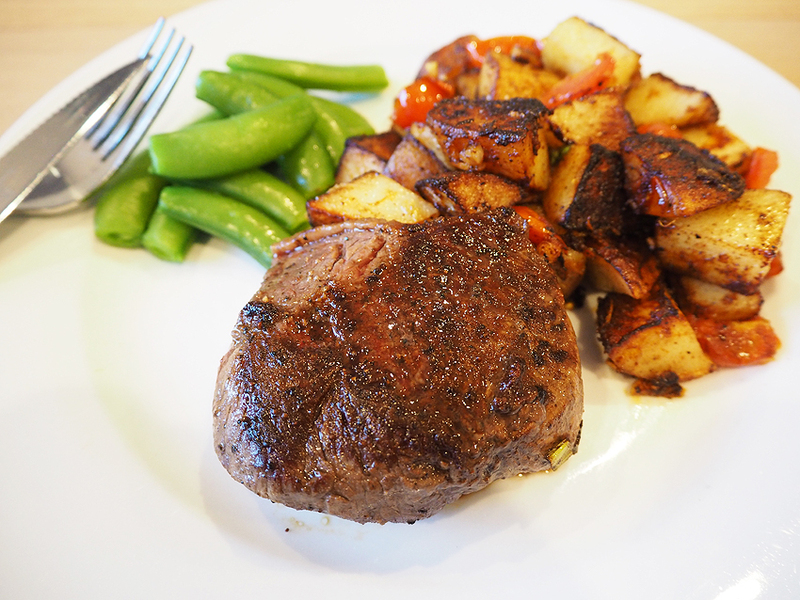 Beef rump with patatas bravas was next on the menu. We don’t tend to eat a lot of red meat but I thoroughly enjoyed this dish and the beef was so tender I could cut it with a butter knife. And I enjoyed the combination of potato and tomatoes cooked together with a smoky flavour from the paprika. 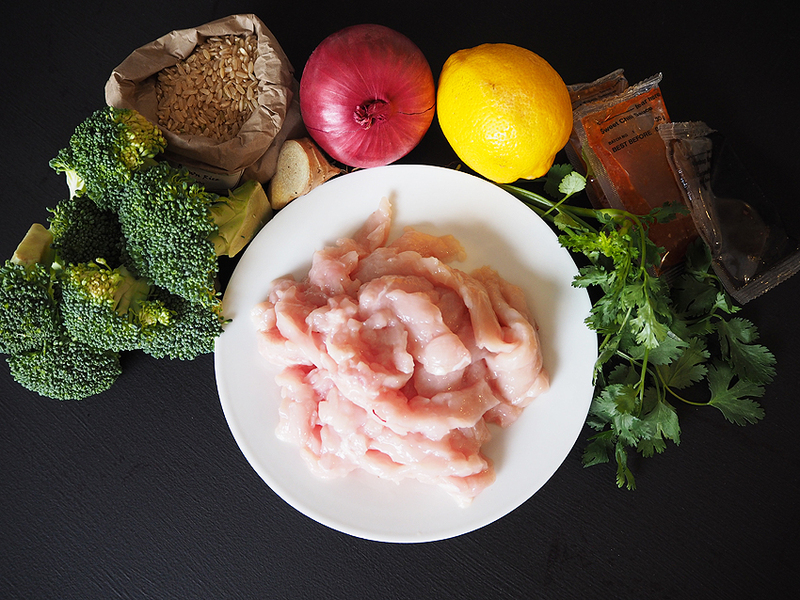 Lemon chicken and broccoli bowl was a lovely combination of flavours. 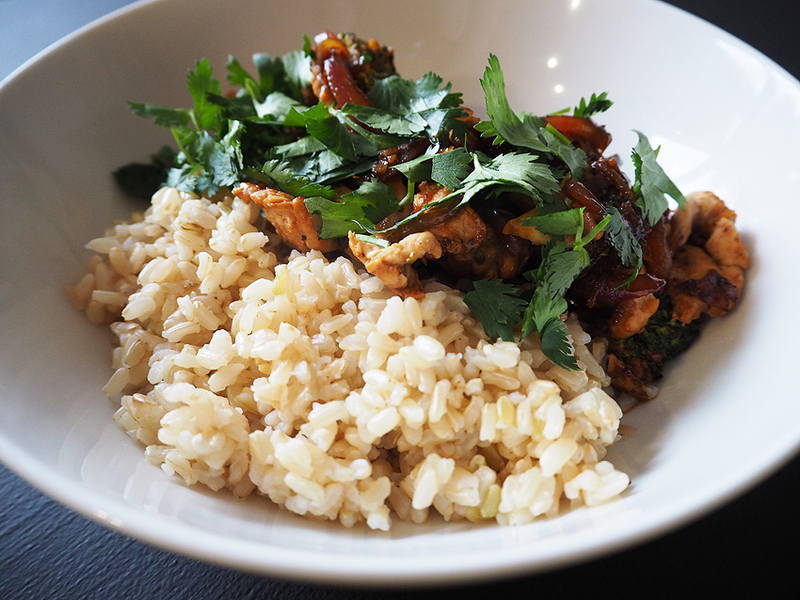 I really enjoyed the brown rice that was included in the recipe. Lemon is a particularly favourite flavour of mine and I really enjoyed the tanginess in this dish. The serving was a good size also. I really enjoyed these meals and particularly like the fact the Murraylands meal boxes from Thomas Farms Kitchens feature locally sourced ingredients, thereby reducing food miles and supporting local farmers. Check out Thomas Farms Kitchens here and you can help support local growers while enjoying a beautiful home cooked meal without heading to the supermarket! ** I was sent a box to sample.